UBC’s Blank Vinyl Project hosts a series of bi-weekly Open Mic Nights from 7 to 10 p.m. at the Gallery. These nights are an open invitation for musicians on campus to perform and are a great way to hear some new music. If you’re interested in performing, the sign-up opens at 6:30 p.m. The next Open Mic Nights are February 6 and February 27. 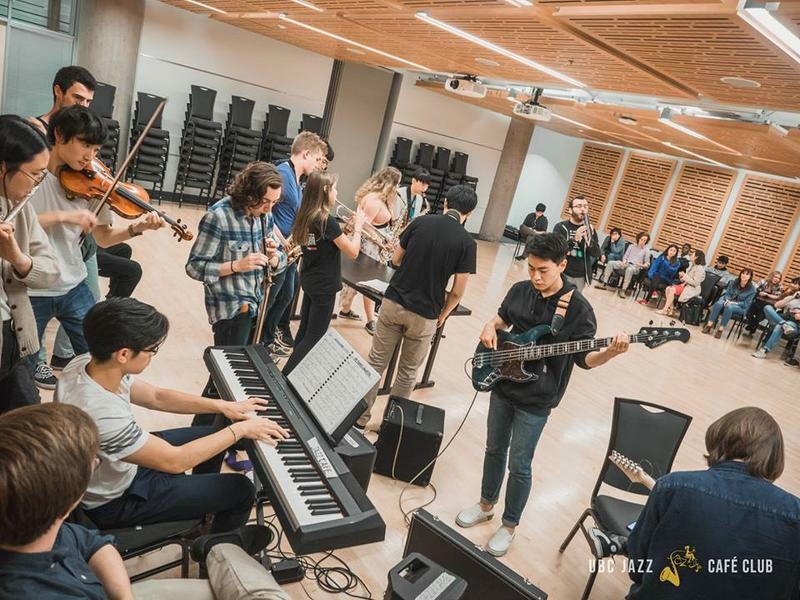 If you’re looking for something a little smoother, the UBC Jazz Cafe Club hosts weekly jam sessions on Tuesdays at 7:30 p.m. in the Nest’s Lev Bukhman Lounge. It is open to jazz musicians looking to connect with others and anyone who wants to go and listen. More information can be found on the UBC Jazz Cafe Club Facebook page. Last but certainly not least, UBC’s campus radio station CiTR frequently opens its doors to musicians to play in the station’s lounge, which is located on the bottom floor of the Nest. Chaotic Music Meetings, hosted by CiTR’s Music Department Manager Myles Black, broadcasts live in-studio performances on an unscheduled but semi-frequent basis. Catch Vancouver locals Nasti Weather on February 13 from 3 to 4 p.m. and Maneater on February 18 from 6 to 7 p.m.